The essence of e-Court lies in the fact you will not be confronted with any surprises. We will give you all relevant information upfront. In contrast to the low e-Court costs, expenditures resulting from litigation in a traditional court can reach exorbitant high levels and may leave the plaintiff still out of pocket even though the case is decided in the plaintiff's favour. 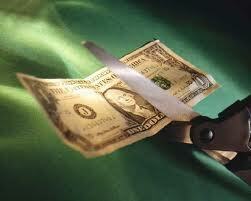 It is a tough business and financial decision when committing to litigation in traditional courts. Advice from experienced litigators may not always be consistent and will rarely allow a sober reality check as to the potential range of costs, and risks. 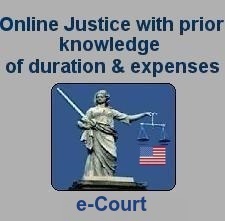 Join e-Court - With a minimum of #50,000 cases, we welcome you to America's most exciting non-governmental arbitration. Each US Individual and/or Company in good standing ( without a criminal past ) as well as Legal Professionals in good standing with their respective state bar association shall be eligible for membership. Do you wish to control costs and maintain a predictable path to solve current and/or future conflicts ? If yes, then ensure you register with e-Court's life membership and insist that in all your contracts any/all disputes, such as employment contracts ( see also scope ) will be settled through e-Court. Always look for e-Court's member logo. 1. Should you need to litigate then you can do so through e-Court knowing the process will be professional, speedy and at lowest possible costs. 2. Labor issues can be completed in a relatively quick and painless way. Hefty legal fees are a thing of the past. 3. Collection of invoices can be completed at much less costs and within a predictable time. Do you wish to "embrace" the new technologies and reach an infinite new market? If yes, check out e-Court. Registration is available to professionals who currently provide "Independently" legal work. This membership gives your organization the "right" to represent clients via the e-Court system. Great for the progressive firm who offers a two "tier" counsel. The traditional counsel for more complicated cases "and" electronically based faster & less expensive services. Under special circumstances we accept your application for this membership type. You are required to complete the registration form with full motivational information "why" you believe you should have our invitation. This information will be verified/approved. Interested to join us ? We offer a stimulating "virtual home" office environment without the hassles of a regulatory court. We believe that time an experienced arbitrator ( for binding decisions ) and an expert judge ( limited to legal opinion ) spend on a particular case is pure thinking, not paperwork ! e-Court offers unmatched opportunities to meet and network with similarly highly respected individuals throughout the world. In return, e-Court expects these individuals to help "safeguard" the integrity, service quality and transparency of the entire e-Court operation. We welcome your application ! REGISTRATION: View Selection & Supervisory, Advisory & Directory & Financial & Coordinator & Administrator.